I thought I'd give you a sneak peek of my favorite projects in the book. The projects vary from home accessories and holiday decor to clothing and jewelry. 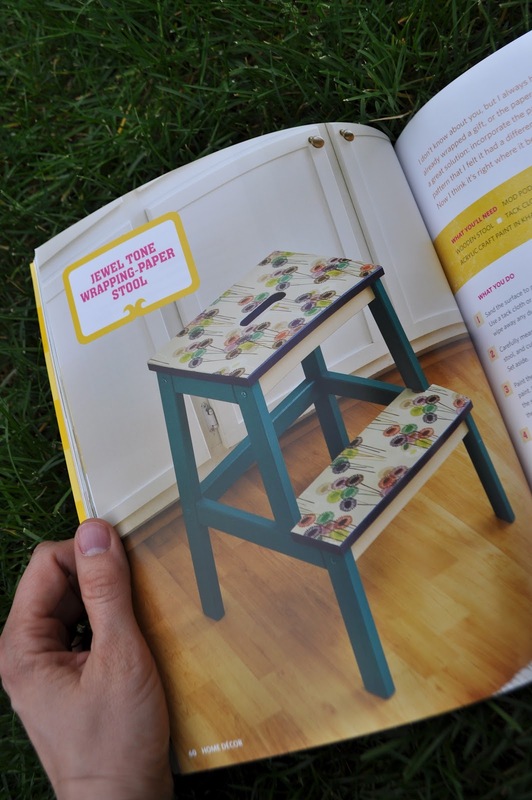 The book also features projects from some well known crafters. There's a gallery section at the end that I liked because you can page through lots of ideas and inspiration. You can find her fun book HERE on Amazon. I've always called it Modge Podge, too! How funny! Yep...it's always been Modge Podge for me, too! But, in all fairness, that's how my HS art teacher used to pronounce it(more than ten years ago), so how was I to know?!? It'll always be Modge Podge to me. I wonder how they came up with that name?? Looks like a fun book. I've been calling it Modge Podge all my life too! I have always called it that! Modge Podge isn't that what it is?!? Ha!! Well shoot! Maybe I get it mixed up with Hodge Podge. Who knows!! Thanks for sharing! I admit, I went back and looked thinking, you mean it's Not Modge Podge? What is it then? Ha!! !